Guerrilla Games may have etched its name into the top game developer stage with single player role-playing title Horizon: Zero Dawn, but its back catalogue is packed with online multiplayer experiences. And with Sony suggesting that it’d like to do a little more in the online space, it looks like Dutch developer is busy beavering away on something new to keep PlayStation Plus subscribers engaged. It’s no secret that the studio hired back Simon Larouche, who previously worked on Killzone 2 but is perhaps best known for directing Tom Clancy’s Rainbox Six: Siege. And in Amsterdam, he’s busy beavering away on a secret project that’s currently staffing up. Among the roles is a Java developer for what appears to be a heavily multiplayer-focused game. The job listing reveals that candidates will be responsible for building “a robust backend that can scale up to serve many concurrent users” and “working on systems like matchmaking, tournaments, clans, and leaderboards”. There’s also mention of PlayStation Network integration, and systems testing to avoid “server downtime”. Sounds like an online multiplayer project to us. Now before you panic, it’s perhaps worth mentioning that Guerrilla Games is an absolutely colossal company now, spanning 400 or more employees. The reality is that it probably has enough resources to develop a multiplayer game while it prototypes the inevitable Horizon: Zero Dawn sequel. We’d expect whatever this turns out to be to launch alongside the PlayStation 5. I'd be well up for a new Killzone, even if it's just multiplayer. I would be interested in a Horizon Multiplayer game like Monster Hunter. I could go for a multiplayer focused Guerrilla game. Whether that's Killzone or not, it should be good. Well, sugar. That is disappointing news. I was really hoping for a sequel to the brilliant Horizon Zero Dawn. Well, Horizon prototypes had 2-player co-op, so a (technically) multi-player Horizon sequel isn't out of the question. But this does sound like it's for something with significantly more than 2 or 4 players. As long as they're not shoe-horning MMO into Horizon, that's fine. @Dubya75 Try reading the article to the end. @Dubya75 They're definitely making Horizon 2. This will be in addition to that. @HungryWolf a multiplayer horizon would be amazing. Killzone in the style of M.A.G.! A pve horizon could work, but generally I consider most multiplayer endeavours a waste of resources. There's a few games that I like to speculate. 1. A new Killzone with heavy focus on MP. Or 3. A MP Horizon prequel set in present time before Zero Dawn (those that know Horizon's lore will understand). It's going to be Killzone Battle Royale just watch. Tbh I'd be perfectly fine with just a remaster of KZ2 as that game had awesome multiplayer but I'm optimistic for anything. I fear that a multiplayer platform exclusive will likely fall in the ''forgotten within months because it's not multi-platform'' category. I’m still hanging on to the notion that we’re going to see a sneaky March 2020 release for PS5 so they better get their collective skates on!! It'll be a zombies multiplayer game call Dead Zone. Wonder how long Sony will keep the servers online. 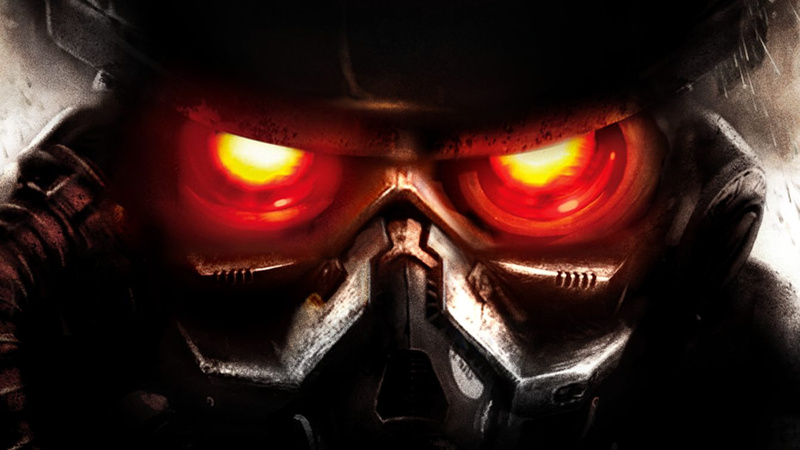 @get2sammyb - killzone 2 servers were online for 9 years. it was guerrilla who turned them off rather than sony. A Horizon multiplayer spinoff would be awesome if you ask me. Take notes from Monster Hunter games, add in some creatively designed monsters, and you got me sold. The last killzone was by far the worst of the series. But will be happy with a multi-player game. guerrilla made RIGS for ps vr while it was making horizon zero dawn, and studio had less people then. this may have gone into pre-production before horizon even came out, and might not be a full scale project, so it's still pretty likely that HZD2 is in full on production. and it's not hard to conceive how they could work multiplayer into horizon, it's practically set up for hunting together. they could tie it into the hunter's lodge trials or something. Yikes over 400 employees. They could conceivably work on 3 games at once if they wanted to. For example two team building games with 150 staff and a smaller project with another 100 people working on that. Or as a DLC team. That's presuming the staff have similar skills and can get 3 good balanced teams, but i'm sure they could make it work. Given the amount of disappointment in games over recent years/months, I look at things far more simple (outside of a couple of key titles). If your last game was good, I'll get excited for your next one. Currently Respawn Entertainment, Santa Monica Studio, Massive Entertainment and Guerrilla are high on my list. Hopefully a few more can get added over the next 12 months, but who knows with all the crap released as of late. I don’t give a damn about another MP game. We sure aren’t short on those, but, we could always use more great SP games. Although, I’d imagine Sony wants some Battle Pass money. I want another loving killzone 😉. @Amppari why would that be a waste. Make Killzone 4 with killzone 2's atmosphere and I'll pretend Shadow Fall never happened. @HungryWolf I'd be interested too. They would have to fix the camera and improve the melee combat dramatically to make it work though.